We hope that you will consider making a contribution today to honor someone important in your life. Perhaps it was a law school professor or your first boss who inspired you to care deeply about the law. Or, maybe it was hearing the stories of the Michigan Supreme Court from the Justices themselves in our Oral History interviews. 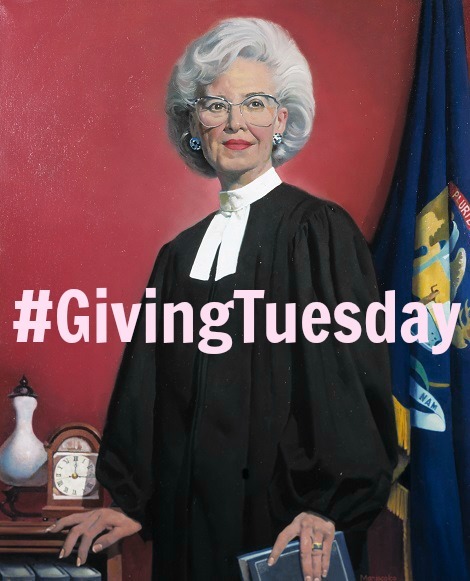 Whatever it was that inspired you, when you make a contribution to the Society, you help to support our mission of increasing public awareness of Michigan’s legal heritage. Please give! Updated: If you use Facebook, you can make a contribution via this link, and the Bill and Melinda Gates Foundation will match it, up to $1,000.00.